With an office on E Main St near Columbus, OH, Visual Care Associates has been serving Ohio’s Franklin,Delaware and Fairfield Counties for more than 8 years. 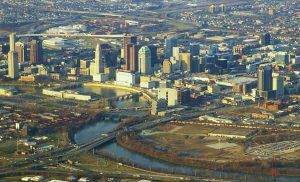 Columbus, the capital of Ohio, is one of the fastest growing cities in the United States. Columbus has been ranked as one of the top 50 best cities in America by BusinessWeek, and Forbes gave Columbus an “A” rating as one of the top cities for business in the US. During the Civil War, Columbus housed Union troops and held Confederate war prisoners. The city was the first in the world to build a water plant, which greatly decreased the number of typhoid deaths. The essential make-up of the plant is still used today. The city is home to many great museums, cultural activities, and recreation. It has the Columbus Museum of Art, Ohio History Connection, Kelton House Museum and Garden, and the Columbus Symphony Orchestra. It is home to the Columbus Blue Jackets of the National Hockey League. The city has plenty of beautiful parks including Inniswood Metro Gardens and the Columbus Zoo and Aquarium which has a water park and amusement park as well.